KHUNTI: Counting is underway for the Nagar Panchayat elections 2018 in Jharkhand's Basukinath, Jamtara, Khunti, Bundu, Saraikela, Chakulia. 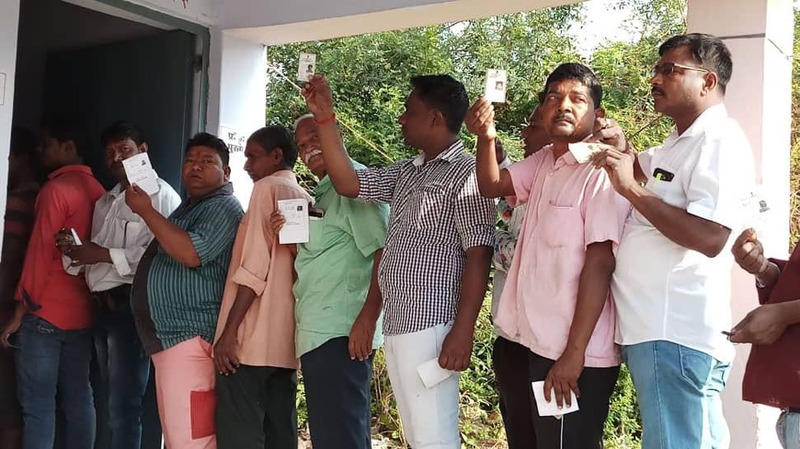 The voting for Basukinath, Jamtara, Khunti, Bundu, Saraikela, Chakulia in Purbi Singhbhum District Nagar Panchayat were held on April 16 (Monday) amid tight security. The entire electoral process in these areas was video-graphed as per the instructions of the SEC. The Bharatiya Janata Party (BJP), the Congress, the Jharkhand Mukti Morcha (JMM), Jharkhand Vikas Morcha (JVM), All Jharkhand Students Union (AJSU) Party, RJD and AAP have fielded candidates for the posts of Mayor and Deputy Mayor here. Ahead of the counting of votes, all the three main political parties have expressed confidence that their respective candidates will win. On April 16, elections were held for five Municipal Corporations (Nagar Nigam), 16 Municipal Councils (Nagar Parishad) and 13 Nagar Panchayats across Jharkhand. The outcome of the local body polls is also being seen as a curtain raiser for the assembly elections in Jharkhand 2019. The contest has become even more interesting with candidates for the post of Mayor and Deputy Mayor fighting on the party symbol for the first time. In Jamtara Nagar Panchayat, BJP's Reena Devi has won. Malay wins from Ward 6 in Chakuliya Nagar Panchayat polls. Watch debate: Does Congress want to win election by misleading the people?